GREAT GIFT IDEA FOR KIDS: Environmentally-friendly materials, non-toxic attractive design, durable, withstands drops. Have your kids record their memorable moments with sound. FEATURES: Easy to operate. Supports photography and video with the ability to replay and delete both. Complementary Metal Oxide Semiconductor ( CMOS ) image sensor, capture high resolution photos up to 5M ( 2592x1944 ), HD 1280x720 pixels, 30 frames per second (fps), built-in microphone, micro SD slot with 32GB maximum support capacity. 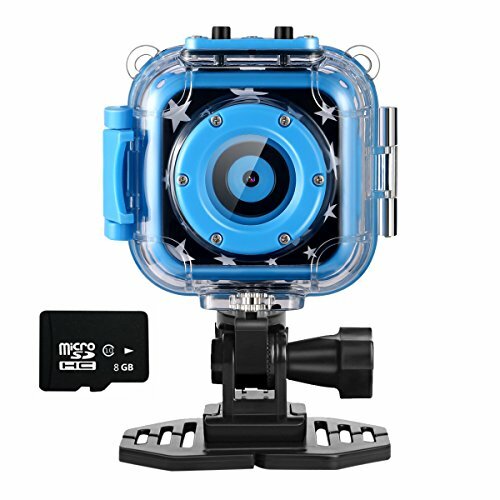 VERSATILE: Built-in 3.7V rechargeable lithium battery, 1.5 hour continuous recording time, Specially designed 1.77" LCD screen. Included: neck strap for convenient carrying, mounting kits for bicycles and helmet for safer use. If you have any questions about this product by Ourlife, contact us by completing and submitting the form below. If you are looking for a specif part number, please include it with your message.